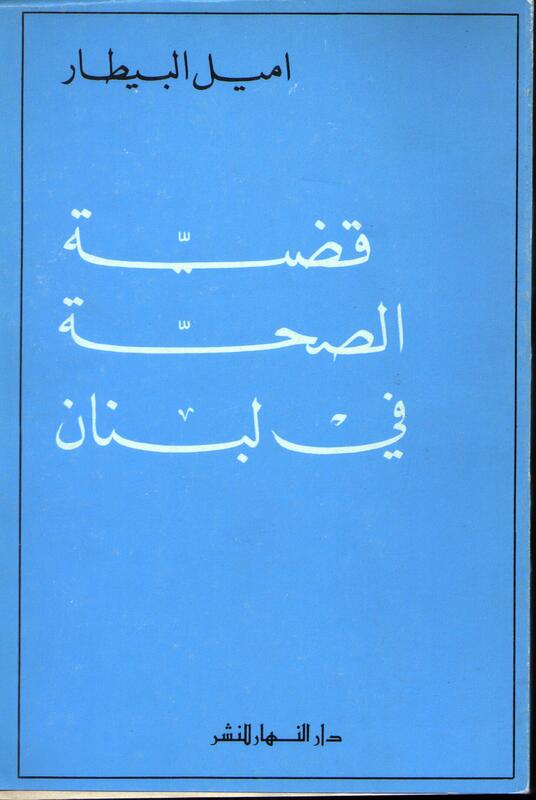 In 1973 Emile Bitar published The Health Care Case in Lebanon, (Qadiyat El Soha Fi Loubnan, Dar an Nahar), a book where he provided a comprehensive overview of the Lebanese Health Sector, its succcesses and failures. He also analyzed his experience as health minister, revealed the obstacles he faced and the inherent difficulties of establishing an efficient modern and democratic health care system in Lebanon. The book provides statistical data about the prices of medicine in Lebanon and the economic research on which Emile Bitar based his plan for a reduction in the prices of medicine. The book is currently being translated into English. Large excerpts will be published on this page.